Sun shore with all its radiance, few rays fell on my new embroidered kurta and giving a shimmering effect! I tried covering my face with my stall to prevent the sunburn on cheeks. Suddenly I found myself standing in mid-lane of a busy street. Few rickshaws hit me, few pedestrians gave me a look of being new stuff to appease their eyes. I gulped once with new change in environment. I felt like a new model which got just launched on the ramp. I had just got down from the noisy train in hustle bustle that my head was spinning. 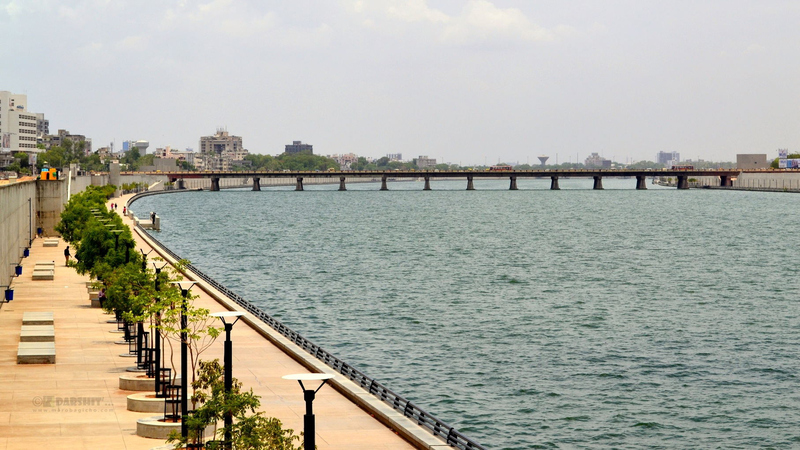 Ahmedabad is the biggest city in Gujarat and the sixth biggest in India, situated in the Western part of India on the banks of River Sabarmati, know for its cultural diversity and glorious history. I had joined as a management trainee at a milk-based company as a part of my M.B.A course in agribusiness from ASPEE AGRIBUSINESS MANAGEMENT INSTITUTE, Navsari. FMCG and Retailing was the passion for me. A dream to have my own company and finding an opportunity to make it a successful start was making me restless and jumpy. I felt that being a trainee at the company would make one more step to my goal. Thus Ahmedabad would be my cradle towards my dreams, That was my thought! Being Keralite and born to two progressive thinkers who are themselves successful in their careers, I was groomed to be adaptable, broad-minded and my foot on my own land (then on someone’else). Settled in Gujarat for more than 20 years, very few could distinguish me as Keralite due to my patented curls which we mostly all south India’s carry. Alas! As I was building castles in the air, I was panicked by the lousy horn. ” Aree madam, Vastrapur javavnu che, metre per lye jaise” auto driver spoke while chewing and spitting tobacco with its charotri Gujarati. “AA,h” I refused him with a constipated face. I hate tobacco chewers. Quickly, realizing I was late, I got into other auto and told him to drop at a place called as Navrangpura. My mom had already sent me 5 messages on Whatsapp, I was annoyed but kept cool and replied her “amma, I have reached Mumbai, forgot to get down at Ahmedabad” Another 2 messages arrived ” podi penne”, “I know you have reached”. Mom is overprotective sometimes, but someday I will be too. I tried looking around, tried reading landmarks which were written on each junction so as to remember the places. I was amazed that the city which was around 70 km from Home, was completely different. Clean city, broad roads and people from all religion and different parts of countries, also foreigners …the city is giving me positive vibes. We stopped by traffic lights, I could see a pool of crowd around me. I saw few youngsters, two men and one woman in a car may be in the 20s, the lady had red dyed herself and was smoking gold flakes. It was quite dumbfounding by her , as such atmosphere was common in big metro cities like Mumbai. I was an illusion that Ahmedabad though being a metro city, had preserved traditional culture till date. It was half an hour and my sixth sense said “something is wrong” . I was used to the peaceful environment with a lot of green flushes and country side abode around me, Such was the place of Dr Kurian’s Amul land. Small, rich with flora and peaceful Anand, I was already missing the place!! I tried checking my google map so as to calculate how much time, it is going to take more. Crap! I gave a sigh…Uninor networks are really too irritating. The auto driver took one more turn, I could see a sky-scraping building, it looked like a mall. I could see a cafe coffee day store nearby and I wished I had the tropical iceberg, which was my favourite. But sadly I was getting damn late. I asked the driver ” Bhai, kettlu time lagse aju?” He said ” 15 minutes,” I said ” what? ?” I was too late. My dear Uninor provider seems to have got my impatience and gave my response. Google map showed 25 minutes from station to Navrangpura and I had been travelling past 45 minutes. Now I was annoyed and lost my cool. In the mean time, Mr Shahrukh Khan ( seems driver was a fan of the film star) parked in front of a black gate. I saw a glimpse of students in the building. I knew that company was located on top floor and there was college sponsored by them which was located at first level. As I got down, I told Mr hero driver that “google map showed only 25 mins and you took 45 mins, do you think I am a fool?” He said ” Madam ji, ajj shortcut ch, Chalo Lavo 110 rupiya”. I gave him, a baffled look. I said ” 110 rs “” aatlu rate? ?” I tried all argument a defence lawyer could make. But sadly he showed me the metre reading and I agreed. He was quite happy as if the Hen got her eggs. Within few minutes, I got a call from a friend and he inquired ” how much did you pay?”I replied ” 110rs”. After a short silence, he said ” to pagal h? 60-70 rs lagte h, metre check Kiya?” I told him, I did and it showed “110rs”. He said, ” lady, money to be given should be half the metre reading”. I had anguished look, I was fooled!! As I climb into the lift, I realised that I had already become prone to the enemy of the cold-blooded world. I learnt my lesson and it has become my first chapter in my Ahmedabad diaries. Fixing the match with God!